Jacob Gibbins has been keeping Pinkbike readers stoked all year with his great shots, and he puts the cap on 2011 with a yearend slideshow of all his best work. Thanks, Jacob! Medhi Gani was filming and put down what is believed to be the first MTB Flip Whip to Bar Spin combo. 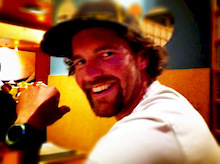 BC loses one of her own, Duncan Mackenzie, in an avalanche tragedy north of Whistler. Great little piece from a Pinkbike user on the unfortunate reality of building trails. 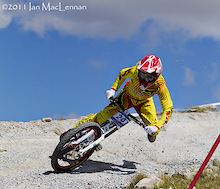 Poised to make a serious name for himself in 2012, Nangle has some serious skills. 1000+ people uploaded photos of their Christmas goods with the mobile uploader and four people took home some Pinkbike prize packs. See who. One of Pinkbike's favorite senders, Kelly McGarry, gets dirt jumping in Seattle with the help of some locals. Taking a look back at what seems like ages ago, Scott relives the Life Cycles premiere that was a monumental moment in biking filmography. Over 15 million people have now watched Freerider Andi Brewi's incredible race against World Champion Snowboarder Gian Simmen. I thought it might be fun to give everyone a bit of an inside look into what it took to pull off an event like this, and the rider that made it happen. See the full video below! You Like This, From the Inside Out, Freeride, 3MG, Stund. The most popular videos from filmmakers. Before Sea Otter this spring I did a shoot for Airborne Bicycles in Monterey. Here are a few photos from the shoot and a quick behind the scenes video. No sponsors, no money, all passion. These guys making what looks to be a pretty rad flick showcasing flow. Duncan Philpott gives us a great slideshow of his 2011 photos. Top 50 are up. Most popular shots from throughout 2011 all in one place. Huge thanks to all photographers out there for busting their asses in the trenches so we get to enjoy these bangers. Kenda's K.O.T uses massive cornering lugs and an open tread pattern for performance in nasty conditions. 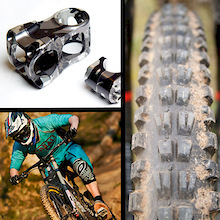 See how the mud specific tire performed inside. Trying to add a barrel roll into your bag of tricks? Ryan from Dartmoor gives it a shot at explaining to Pinkbike. Most watched videos in 2011, excluding movie teasers. After a week of wild speculation & and hundreds of emails guessing who will be the new DH Superstar in O'Neal clothing it´s official: South African Greg Minnaar will be representing the Californian clothing and protection specialist O'Neal! Want to re-route your remote control hose, or wake up that button action? Bleeding the Reverb is easier than you'd expect. We've followed the Fastfokus team all year, now see all their best clips, combined into one video. Merry Christmas from John Wellburn! Many of you asked about getting a higher res version of the POY photo for wallpaper and more, and John is making it happen. 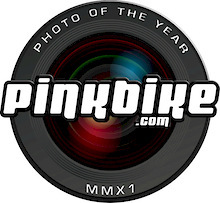 2011 has been a huge year which has seen a record 1.6 million photos uploaded to Pinkbike. Huge thanks to all the photographers out there making this sport look hot. Put down whatever you got for Christmas and check out this Silvia banger. Didn't get what you wanted for Christmas? These 24 edits should cheer you up. Merry Christmas. What did you get for Christmas? 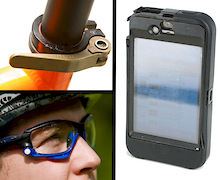 Take a photo of your loot with your phone and upload it to Pinkbike. You could take home some presents from Santa PB! Dusty jumps, Clint Eastwood, and a crazed, gun-toting farmer. What more could you want? Ultramontane is a collaborative effort with Connor Macleod as videographer and Derek Dix as photographer. 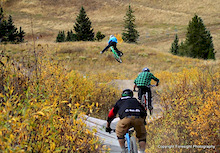 The concept is to work together both as media and riders to showcase winter riding in South Western B.C. Andrew Bigelow - Happy Holidays! Andrew Bigelow throwing down some serious park moves for Index Ink. From the whole squad here at Pinkbike, we want to send out a huge thanks to the entire biking community wherever you are around the globe. There is no community like the biking family, hope you guys get some well deserved goodies from Santa! Eight products, a must for your bucket list, and one hell of a ride. Tara Llanes recently took receipt of her new bike - 'The Explorer', made by Sport-On, is the only off-road, hand-cycle with suspension. Danielle Baker documents all the happenings of this journey for us. The Summer of Summit does not want Summer to end, so here is another great video from them featuring Justin "Dewey" Roy in Whistler. 2011 was a huge year for Sam. Take a look as he rocks out to Avicii's Levels. 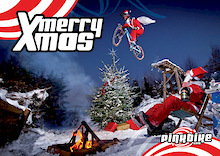 Stay tuned for Pilgrim in 2012 as he brings more if his antics and style to Pinkbike! 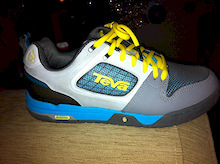 Pinkbike tech editor, Mike Levy, makes his top gear related choices of 2011, with a few surprising picks. 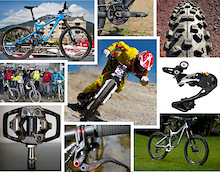 Part Two of Pinkbike's look back at the top news and reviews of 2011. The preliminary rider’s line up for the Monster Energy White Style 2012 has been announced and it looks like there will be some young guns challenging the slopestyle old hands. Some serious winter sleighing going on in this vid. Thanks to Harrison Mendel for this rad little edit. Never seen these spots in the winter, apparently they are just as perfect. Love to see users passionate about bikes, filming and sharing the story. Have look back at this users season. 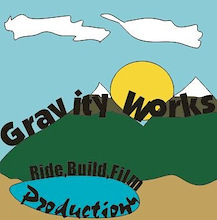 Winter is here and what better way to warm up than to pretend your shredding in the summer...GravityWorks is going to get a video up every second Wednesday for the next 8-10 weeks, check out their first. 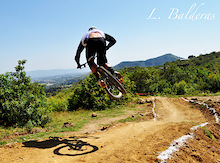 Bryn and Jill are off Transition for 2012, Lars shows you the roster moving forward. While pinning it! Boys get rowdy before Christmas with this edit from Milner. Beats Xmas shopping! 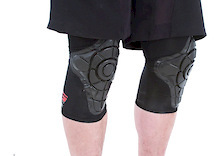 G-Form's knee pads use advanced density changing padding that allows them to be slim fitting and light, but are they still trail worthy? 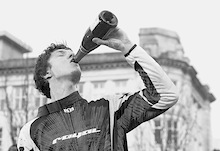 Pinkbike takes a look back at the top news and reviews of 2011. Here is the first 6 months, stay tuned for the rest tomorrow. Winter came early and shut down Kevin and Jeremy's work in the burn. The coldest season overstayed its welcome well into May. By the time the ground had dried enough to return to work, the access road into the forest suddenly sprouted a gate with a lock. With a little ingenuity, the boys gained access and got back after it. 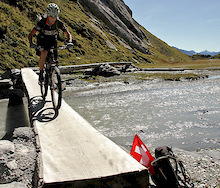 Stu Thomson and the MTBCut crew had a busy (and successful!) year. 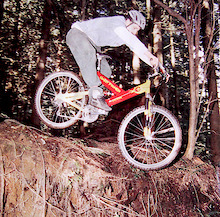 We've probably featured 30+ of his edits on Pinkbike throughout 2011, take a look back at the year that was for them. The SheGNARnigans crew is back with their 3rd and final episode of the season and it's all about getting off the lift and into the woods - shuttles and foot access freeriding in abundance! O'Neal is welcoming a new rider to the team. 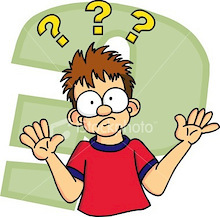 Guess correctly and you'll be wrapping up 2011 with a fresh pair of O'Neal gloves. Pinbike's resident video intern Nic Genovese and his brother Paul take a trip to Ontario to see how they handle the winter blues back East. A Bike Movie 2 has released a new teaser from some of the POV shots in their upcoming film that is set to air soon. 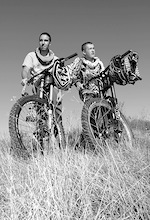 The Final Chapter in the Giant's of Dirt Project Celebrates the Life and Dedication of Dane Searls, 1988-2011. Alex Pro and Leo Hoorn head into the Pemberton hills for 5 days of riding and bring back the goods. Pinkbike and The Edge Factor are now accepting submissions for Reality Redesigned. R2 is what happens when the biggest names in North American manufacturing, design and engineering throw open the doors and allow both mountain bikers and designers alike to have at it. Have no doubt, this is access to a full on design competition with legitimate resources and up to $40,000 in prizes. Planning out your Summer camp plans and want to head to Highland Mountain Bike Park? Well now you can save 10% if you book before February 1st, 2012. Movie Monday is here with 24 edits to make the start of a new work week a bit more bearable. Silvia kills this video - such a great edit, guys. Matt holds the throttle wide open for Karl's camera the whole time. Excellent words from Shredhard too. 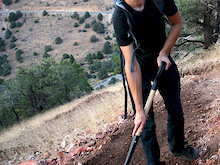 Jeremy and Kevin have spent the whole summer digging, building, riding and then refining the trails through the Burn. Linking up the series of gaps, rock drops and step downs has come with its share of near season ending crashes, and a true complete descent has remained elusive. Neither one of them wants to spend the winter thinking about their lines in the Burn. 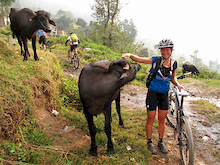 Get a glimpse of mountain biking in Nepal with Ian Merringer and his trip to the country with Sacred Rides. Banshee's Kevin Landry and his riding partner Jeremy Norris both moved West to the mountain biking mecca of Squamish, B.C., with the same goal in mind - ride as much as possible and create their own vision of mountain biking. Follow them in this four part series as they bring their vision of riding to life in a place where a fire snuffed it out before their arrival. Dunbar's Dean Tennant and Larock team up for this sick edit of Dean crushing the leaf covered trails of Vancouver Island. 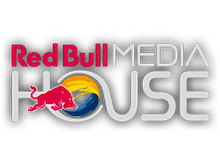 It looks as if DH1 has been cancelled, with Redbull Media House taking on the job of broadcasting MTB World Cup events. The second part of a two part photo story about the 2011 Jamaica Fat Tyre Festival featuring Roots, Rocks, Reggae, Rum, and the Ken Klowak Memorial Ride. RIP Ken! 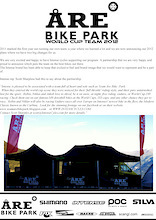 After the shock decision by the UCI to drop 4X from the Mountain Bike World Cup Series at the end of the 2011 season, the 4X Alliance have been working hard to ensure a new 4X series was created for the 2012 season. Troy Brosnan gets put under the lights by Liam Renaut at the first round of the Australian Gravity Cup at Thredbo. Hear his thoughts on stepping into seniors, getting a podium in the World Cup, old rivals and what he thinks about Brendan and Sam. Part 1 of Jacob Gibbins' Locals 2, a UK MTB film following the lives of some of the country's fastest raceers during the off-season. 2011 British Downhill Series champ Alex Bond, CRC rider Joe Smith, Syndicate pro Josh "Ratboy" Bryceland and his partner in crime, Sunn Montgenevre's Sam Dale and DMR's Olly Wilkins all show us what they get up to when not at the races. The Grassroots Cycles team heads up to Colorado's Evolution Bike Park for a proper bro-down on some good looking trails. Check the video inside to see the action from their visit. All seven STUND episodes, including the Encoure Adventures With Steve Romaniuk, in one place. Hope you've set aside a good part of the day to watch the STUND boys go big! Up and coming filmers Josh Patterson and Jared Uhrich have just released their first full length mountain bike movie, Routes. Watch the 25 minute long film inside! Kona's Barry Wicks and Spencer Paxson shred the epic Seven Summits trail in Rossland, B.C., with a helicopter in tow. The resulting footage is enough to make any mountain biker want to put tire tracks on this man sized trail. After a hugely successful inaugural year, Steve and his SPS family kick back with riding, fire, beer and mayhem! 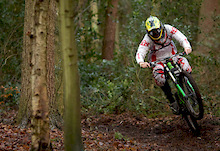 Check out Peaty’s end of year get together video for the Steve Peat Syndicate. Sam Blenkinsop had an up and down year, but punctuated it with a podium placing at World Champs in some of the hardest conditions ever seen. Check Sam's season inside, including his own words on how it went for him. 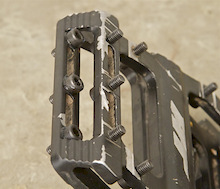 We put a full year on DMR's new Vault pedal. Find out what we think of them inside! Cadre Productions has just released the official trailer for Trail Notes, a movie that looks into the lives of four riders and what mountain biking means to them. Watch the trailer inside and then tell us what the sport means to you. Are you in Europe? If so, you'll want to check out the grand opening of Burn Dirtpark, Poland's first indoor jump park. Lars Scharl is an up and coming professional photographer from Germany. He has a few solid POD's and he worked for Pinkbike recently at the Red Bull District Ride. Riley Mcintosh spends the day with Garett Buehler to find out what makes the Knolly sender tick. 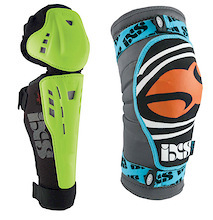 iXS Pinkbike Sale - 30% off! iXS is offering a 30% discount in their online store to Pinkbike readers! Whether you need some new pads or know a deserving rider, check out the details inside. Downhill bikes, smashing loam corners and loud music are all things that you'll find in episode 6 of Summer of Summit. Turn up the volume and press play! Remember when Zink flipped the 60ft Bender Sender drop earlier this season? Check the video inside to see behind the scenes of one of the biggest moves ever done on a mountain bike. Cannondale's Chris Van Dine travels to Mexico to race and explore. Check out his adventures in the first of a three part series.Cannondale's Chris Van Dine travels to Mexico to race and explore. Check out his adventures in the first of a three part series. Skinny rims need to disappear, and a few good reasons why this may be so. Dark Timbers Santa drops in for an updated take on the classic Christmas poem, "T'was the Night Before Christmas". Santa's getting loose! We’re a superstitious lot. Really, we are. We drop new helmets on the ground to ‘pre-disaster them’, we sport lucky jerseys, some people never wash their armour; but most importantly we never, ever talk about crashes. Well, it’s time to buff that lucky bunny foot, ‘cause I’m gonna blab a lot about the Art of the Bail this month. The Coastal Crew wants to show you all what they do to relax in the winter - yes 2 wheels are involved. Watch Troy put time in on Sam Hill and Jared Graves. Is this a sign of things to come? This is the moment you've all been waiting for, after almost a month of voting and a lot of time spent checking and double checking the votes we've got a winner! The 2011 Jamaica Fat Tyre Festival, Part One, complete with roots, rocks, reggae, and rum. And maybe a little bit of Jerked Chicken and a cold Red Stripe to wash it all down. You get 2 videos this week from the Silvia crew, one is fast paced Sun Peaks ripping and the other is a little glimpse into what it takes to get the shots. Trek World Racing announces its roster for 2012, including bringing aboard Myles Rockwell as a rider liaison. Check out the team inside. 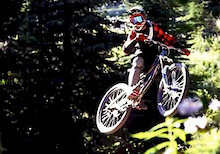 2011 downhill World Cup Champion Tracy Moseley sets her sights on Pro Sprint and Enduro races. Check out the details of her T-Mo Racing program inside. Troy Brosnan has won the first round of Aussie Nationals, Sam Hill in second and Jared Graves in third. For the women it was Tracey Hannah making a solid comeback with the win. We've got eighteen edits to kick off the week, including some serious shredding at Retallack, a massive booter in Chatel, France, that ends badly, and riders going big in Norway. Catch up with Jared Graves, Sam Hill, Troy Brosnan and other Aussie racers at the first round of the Australian Nationals. Get into the Pinkbike time machine and visit North Vancouver to see Wade Simmons, Noel Buckley and Harookz ride the 'Shore. 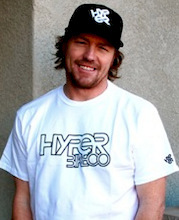 Hyper Bicycles has just announced that they will be joining forces with MTB and BMX legend, Eric Carter to develop their new mountain bike program. Jaws and Miki go large in Poland, cold weather and mist be dammed! Do you fancy having the world's best riders at your event? 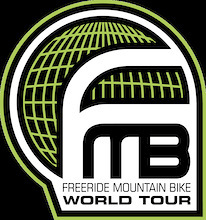 Do you have a competition that you think should be part of the FMB World Tour? 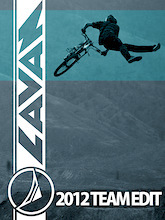 Lavan's 2012 season is looking golden after signing new riders, bringing back some orignal shredders, and finishing up 2011 with a killer Aaron LaRocque edit. Check out the video inside. The second part to Margus' epic photo piece, Shore WTF. 3 new shirts have just dropped into the Pinkbike.com online store and Aaron Larocque has his own signature shirt! Check out all the styles inside. 180mm front forks on an AM bike tells me that Ben Cruz is serious about his downhilling. Check him out in this AM meets DH video. Live close to North Vancouver or have a friend that can go to this for you? 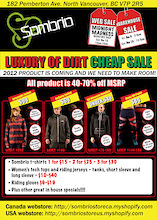 Now is the time to get some new riding gear for next season from Sombrio. Pinkbike Photo of the Year - Winner Announced Tomorrow! Down to the final round. The winner of this takes the 1st Pinkbike Photo of the Year and the 2012 Specialized Demo! Looking for something sturdy and simple? Check out Cove's steel framed Sanchez that is both lighter and slacker for 2012. Biking Germany's highest mountain, Zugspitze, (2962m) is a daunting task, these guys did. Check it out. On his birthday in 2005, budding writer and photographer Rich Deakin pulled up stakes in the UK, and made the big move to the BC Interior. 6 years later, Deakin takes us through his 2011 retrospective travelogue. What does the race scene look like in China? Take a peek. Pinkbike user Jeffrey Herbertson set out and built his own slopestyle setup. Props to everyone out there with the dedication to building. Mitchell Scott asks whether there is too much jargon and marketing-speak in biking technology today. 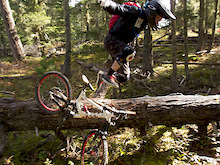 Lone Wolf Productions - Graham Agassiz...Need I Say More? Graham Agassiz hits up Kokanee Crankworx and then some good ol' trail ripping on Jamison in Kamloops in this newest Lone Wolf edit. Some people just have the life. Follow Marco in riding paradise. We haven't featured the brand OBG much on Pinkbike. So if you haven't heard of them or checked out their gear, see how Pilgrim rocks it and try it out yourself. 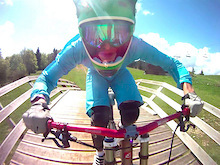 Harrison Mendel bringing some Kelowna flavour to this edit. Check it out. I SCREAM, YOU SCREAM, WE ALL SCREAM FOR WETSCREAMS! With a track muddier than a pie from Mississippi, Team Idiot took on Yorkshire’s most famous moor, (bar t’at) in the Ilkley Mates Race Part 2. The last race of the year in South Africa ended with Andrew Neethling taking home a big win. Check out the action with stills from Eric Palmer. STOLEN Trail Machine and NW Trail Alliance Cargo Trailer! For most of us in the northern hemisphere the parks are all closed and winter is coming on strong. In Santiago, Chile their lift lines are just getting started. We love to see shredding like this, group of guys having a blast. And the back-flip at 3:30 makes this video! 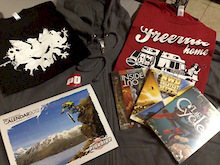 Inside Out Available Now - Also Semenuk Teaser Inside! If you were still waiting for a reason to pick up "From the Inside Out", here it is. A little tease from Semenuk. When I hear the name Chris Kovarik, I think metal music and Intense bikes, so it's no surprise to find both those in the latest Dylan Forbes edit - turn it up! 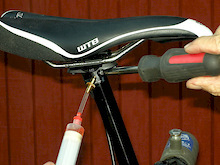 An elegantly simple tubeless conversion system from a respected name in wheels. This month James wants to take a look at how we eat and his experience with the Warrior Diet. Can it help you? Rowan Sorrell takes the win at Red Bull's Downforce this past weekend in Wales. 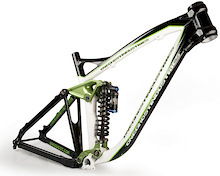 Athertons are leaving Commencal. To celebrate their 5 years of racing, they are giving away a Commencal Max Max EVERY WEEK. Check it out. 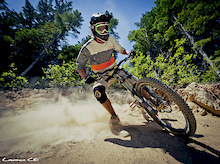 A season that was at Angel Fire Bike Park. Six top notch vids from 2011 that'll take you back to that epic run from this year that you just can't forget. 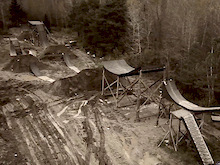 2011 Full Length Season Video - Gotta Get Out! 24 minutes of motivational epicness. Get out and ride. Explore. 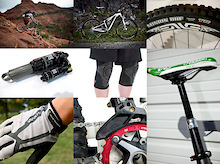 Nookie Bikes have launched their new website to create a one stop solution for all their latest 2012 products and product information. Christo Gallagher is a 18 year old rider from Edinburgh, Scotland. Watch him shred. Rider-run dirt jump company Nookie Bikes have launched their first bike range. There are three models, all carrying the Rogue name and ranging in price from £549.99 to £949.99. Simmons, Doerfling, Gullevich, Tippie and others get behind the lens for Margus Riga on the Shore. WTF this is epic. Best known for its built-to-last handlebars, stems and saddles, Chromag also manufactures steel hardtail frames designed to handle epic rides on the toughest terrain. We put some serious saddle time in on their Aperture frame to find out what makes it tick. A lot of us have ridden Jamison north of Kamloops, but I only dream of being able to pin it like these two do and so close to each other the whole way down! Get pumped for Silvia's newest webisode inside. Andreas Brewi (MTB) goes head to head with Gian Simmen (Snowboarder) in this on snow dual race - the winner may surprise you! Movie Mondays drops 15 edits to get you stoked while you wait for the snow to melt (or go shred depending on where you live). Here are the top images from November on Pinkbike. Boys from Shasta Outdoor Media have a film debuting in January coming up. Focus is on real peeps, have a look at the teaser. DJ Brandt, 18 years old and can shred. Check out this edit from the past year. Movember has passed and now it's only a few weeks until Christmas. Have you got all your shopping done? 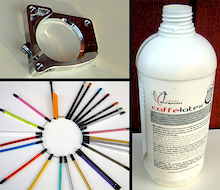 Here are some gift ideas from our online retailers. From The Inside Out - Now Shipping! 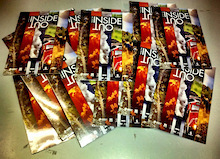 From the Inside Out has arrived and orders have started making their way to the post office already! Have you ordered your DVD / Blu Ray combo pack yet? Five straight bangers from November that are must sees. Check em. Jack's back with episode 4 and this time he hits up AT's Showdown with this killer edit set to the smooth sounds of AC/DC. Justin Schroth has put out some memorable edits this year from Highland Mountain, see it all come together in this year-end recap. Skate shoe icon Etnies picks up slopestyle dominator Brandon Semenuk. Hill takes the podium as several pros battled it out in Asia. 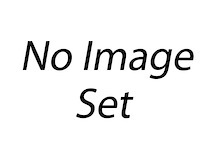 Retallack Lodge (Kootenays, B.C.) is best known for their world renowned cat ski operation, but it's making headway in the bike world as well and we went to see what kind of adventures could be found in those old mining mountains surrounding the lodge. More travel, more capable and a full pound lighter - Pivot's replacement for its Mach 5 offers all-mountain performance to all-day trail riders. The Collective Anthology - Now Shipping! We are pumped to say that The Collective has released their Anthology and it includes all 3 DVDs and a limited run of Seasons on Blu Ray! Get yours now!